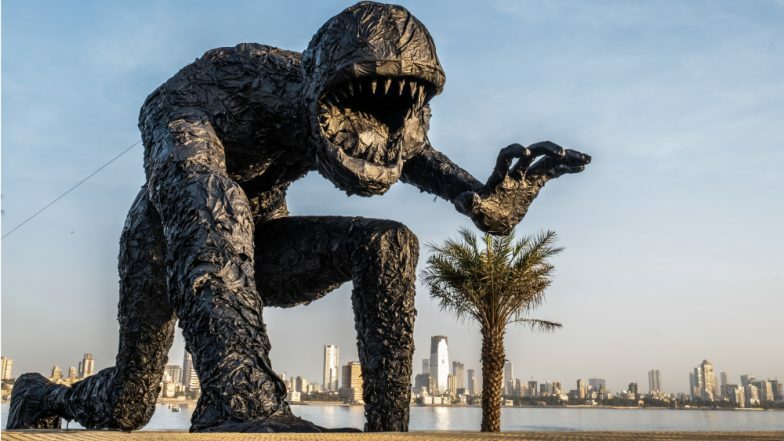 Mumbai, March 1: The Maharashtra State Innovation Society (MSInS) has joined hands with art-based startup Floating Canvas Company to install a ‘Plastic Monster’ at the Bandra Worli Sealink Promenade. 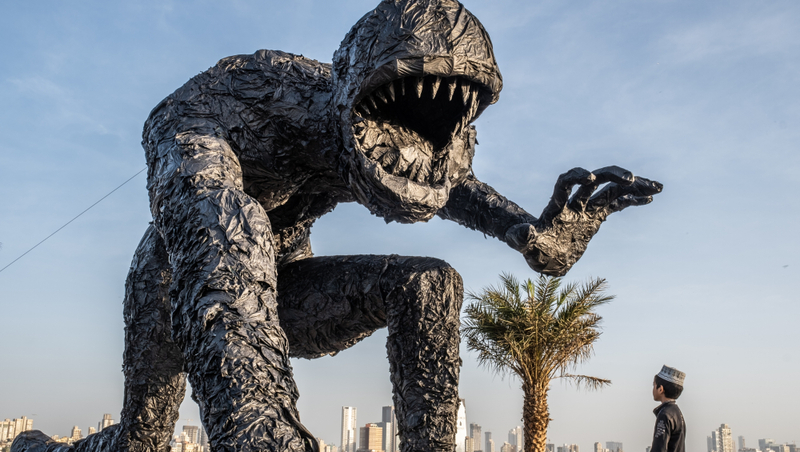 The public installation, inaugurated today, is made of discarded plastic and aims to draw attention towards the problem of plastic disposal. 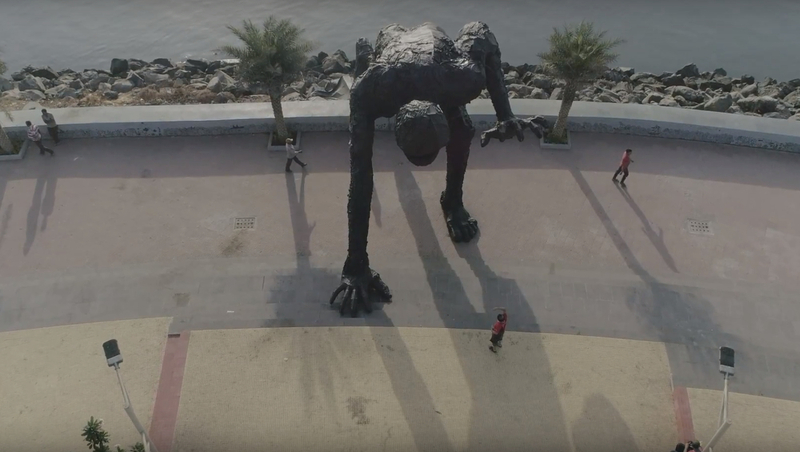 The 26-foot-tall “monster” can be seen lunging out of the sea at the promenade. The installation is titled ‘It Never Goes Away’ and is conceptualised by Mumbai-based visual artist SAGE along with execution partner Arthat Studio. The project facilitated by Maharashtra State Innovation Society (MSInS) is also supported by Municipal Corporation of Greater Mumbai (MCGM) and Maharashtra State Road Development Corporation Limited (MSRDC). “When addressing a problem that has attained truly critical proportions, my aim was to come up with an intervention that conveyed the seriousness of the situation in a stark and upfront fashion. I hope it serves the purpose, “says SAGE, visual artist and Co-Founder of Floating Canvas Company. Maharashtra State had introduced a statewide plastic ban from April 2018 stringently in Mumbai and other cities. The grimness of the situation was further highlighted when the Marine Drive promenade at Mumbai was littered with nine tonnes of garbage and plastics in July. The installation will be on display until March 15, 2019.